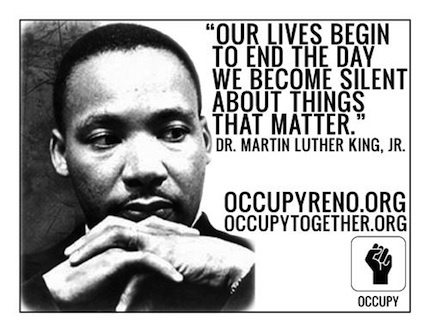 Posted on November 25, 2011 by occupyreno | Comments Off on Immediate Need! In in order to keep up night watch and remain productive at night the occupiers have an immediate need for batteries. Most importantly C and D batteries, but also AA and AAA. Thank you everyone for all your support!!! Comments Off on Immediate Need! Although a few of us were asked to leave the premises, we got a lot of exposure and a lot of positive feedback. 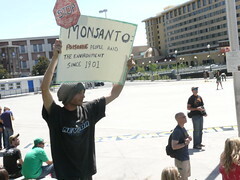 We were able to distribute most of our fliers and, most importantly, no one got hurt. Today was a Success! Thank you to all who made it out this morning. WELL DONE! 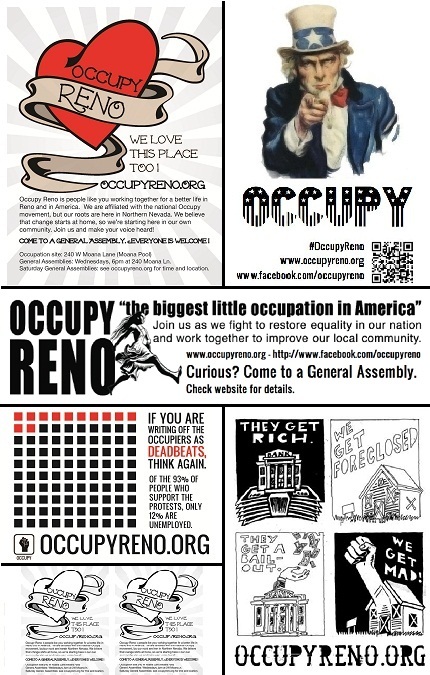 What: We will be reviewing the plans for creating ASUN club Occupy Reno at UNR. We will also be accepting suggestions for future actions / demonstrations. Some that have been considered for review are: Occupy Foreclosures, Free Store, Occupy Harry Reid, Occupy Kate Marshall, among others. 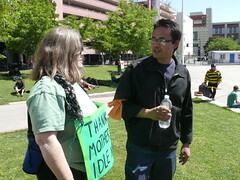 If you have any questions, comments, or concerns about Occupy Reno, please come down to the GA and let you voice be heard!